Saxony, part of the former East Germany, remains a secret to most travelers. We'll visit the two great cities of the region: the capital city of Dresden, with the opulent palaces and art treasures of the Wettin dynasty, and Leipzig, with its Bach heritage, a massive monument to the day Europe beat Napoleon, and museums remembering its communist heritage. When this landmark Lutheran church was first built in the 18th century, it was financed largely by local donations expressive of Protestant pride. Destroyed by Allied firebombing in World War II, it sat in ruins for decades. Rebuilding of the church finally began in 1992, following carefully considered guidelines: Stay true to the original design, use as much original material as possible, avoid using any concrete or rebar, maximize modern technology, and make it a lively venue for 21st-century-style worship. The remnants of the destroyed church were fitted together like a giant jigsaw puzzle, with about a third of the darker original stones placed lovingly in their original spots. The reconstruction cost more than €100 million, 90 percent of which came from donors around the world. Longer than a football field, this mural on the outside of Dresden's Royal Palace illustrates the evolution of weaponry and fashions over seven centuries of Saxon royalty. The word "Zwinger" refers to the no-man's-land moat between the outer and inner city walls. As the city expanded, the pavilions and galleries we see today were built. Although the Zwinger buildings might look like a palace to us commoners, no one ever lived here — it was solely for pleasurable pursuits. By Augustus' time, the Zwinger was a venue for Saxon court celebrations. The courtyard served as a spot for open-air festivities, complete with gardens and orange trees in huge Chinese porcelain pots. Today, this Baroque masterpiece is filled with fine museums. This fun collection features scientific gadgets from the 16th to 19th century, including measuring, timekeeping, and surveying instruments, as well as globes and telescopes. Anyone with a modest scientific bent will find something of interest; be sure to pick up the included audioguide. This palace, the residence of the Saxon prince electors and kings, was one of the finest Renaissance buildings in Germany before its destruction in World War II. The big draw here is the Saxon treasuries: the Historic Green Vault and the New Green Vault (royal treasures in contemporary display cases). Other attractions include the Royal Armory and the Turkish Chamber, one of the oldest collections of Ottoman art outside Turkey. The Wettin family's extravagant trove is displayed in rooms as opulent as the collection itself. Following the included audioguide, you'll spend about an hour progressing through the exhibition's rooms. Most of the treasures are not behind glass. Inside, it feels like an almost sacred space — no guiding, no photos, and people speaking in no more than whispers. To protect these priceless items, the number of visitors each day is carefully controlled. If you must get in at a certain time, or if you'll be here at a busy period (weekend, holiday, or any time in December), book your ticket well in advance. Outside these times, your chances of getting a same-day slot without an advance reservation are usually pretty good, especially if you show up in the morning. Dazzling, original, centuries-old armor fills one long room called the Giant's Hall. The biggest space in Dresden's Royal Palace, it was the scene of medieval war games. This is the largest collection of 16th-century Europe's leading armor designer, Anton Peffenhauser. A doorway in the corner leads to the Coin Cabinet, a beautifully presented collection of historical coins — one of the best and largest in Europe, and organized to tell the story of how money as we know it came to be. At this historic church, Martin Luther introduced Leipzig to Protestantism, and Johann Sebastian Bach conducted the Thomanerchor — the most famous boys' choir in Germany, which still performs here. Funded by the German government, this center examines life in a divided Germany (1945–1990), focusing mainly on the East but dipping into the West to provide contrast. The exhibit is modern and well-presented, although there's little in English (translations sometimes available at the gift-shop counter where you enter — ask). Engaging Gisa is a good local guide based in Leipzig (gisa.schoenfeld@gmail.com). Stasi Museum in the "Runde Ecke"
In the notorious so-called "Round Corner" building, the communist secret police detained and interrogated those suspected of being traitors to the state. That same building — once the Stasi headquarters — now houses a humble but worthwhile exhibit about the Stasi's activities. A citizens' committee created the museum in 1990 — just months after their protests helped spark the fall of the Wall — as a temporary exhibit to document Stasi atrocities, with the goal of preventing such things from happening again. Decades later, the museum and its committee are still going strong. The museum is not fancy — basically one long hallway and a few rooms, with dusty hand-lettered exhibits — but fascinating to those interested in this dark chapter of German history. And it's chilling to see all of this while walking through the actual perpetrators' offices. In the 1980s, Leipzig's oldest church became a major staging ground for the Peaceful Revolution that would ultimately topple the East German Communist regime. During these protests, people would bravely go inside the church to meet — not knowing what would happen to them when they came back out. Inside, the church sports a pastel pink-and-green color scheme and fluted columns that sprout green fronds at the top. Above the door is the largest organ in Saxony, which booms out 45-minute concerts each Saturday evening. Look for the free English flier that explains the church's role in the peace prayers and historic events of 1989. This gigantic, heavy-handed monument — Europe's biggest — commemorates a pivotal battle in 1813 that involved forces from all over Europe. It was the first time Napoleon was decisively defeated in a major battle. While it's on the outskirts of town and a bit anticlimactic (it looks like a giant pedestal missing a statue on top), the monument is worth an ogle for its sheer size and chillingly patriotic design, especially if you're a history buff. Hi, I'm Rick Steves, back with more of the best of Europe. This time we're in Saxony — the great cities of Dresden and Leipzig. 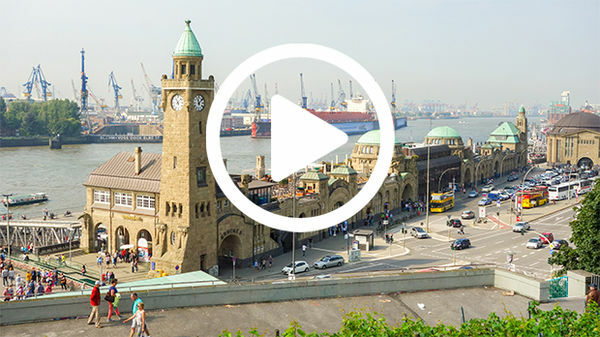 It's eastern Germany, and you're in for some monumental travel experiences. Thanks for joining us. Saxony is a proud region of Germany with a long and rich history. Its two leading cities are Leipzig and Dresden. Each had a tough 20th-century history. And today they're coming back with a special vibrancy. 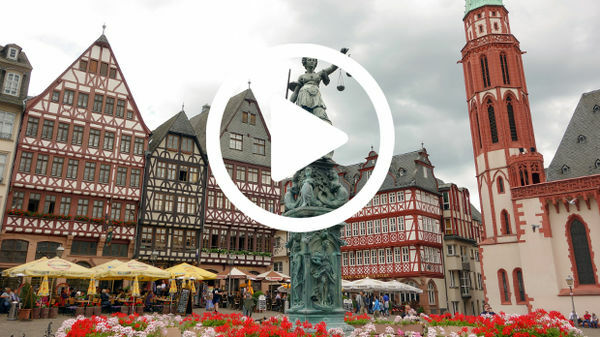 In this episode we'll visit two great German cities bombed and then rebuilt after World War II. After visiting a beloved church that rose from those 1945 ashes, we'll go further back in time and brush up on some Saxon history with its royal palaces and their porcelain, jewels, and armor. We'll ponder a massive war memorial from the time of Napoleon. Then, after peeking into a secret police headquarters, we'll recall how people power brought down communism…and see how people today are enjoying their freedom. After World War II, Germany was divided by the Iron Curtain into the free West and communist East. With the fall of communism in 1989, Germany was reunited. In the historic region of Saxony, we tour Dresden and Leipzig. We start in Dresden – with fanciful Baroque architecture and some of the best museum-going in all of Germany. It's a city that mixes a dynamic history with a delightful-to-stroll cityscape. At the peak of its power in the 18th century, this wealthy capital of Saxony ruled much of eastern Germany from the banks of the Elbe River. Saxony's greatest ruler was Augustus the Strong. To embellish his capital, he imported artists from all over Europe — especially from Italy. Dresden's grand architecture and dedication to the arts earned it the nickname "Florence on the Elbe." In spite of its resurgence, Dresden is still known for its destruction in World War II. American and British planes firebombed the city on the night of February 13, 1945. The bombing was so fierce it created its own climate — a "fire storm." More than 25,000 people were killed — in just one night — and 75 percent of the historical center was destroyed. Memorials, while understated, remember the horror of war. This simple inscription recalls that "after the air raids…the bodies of 6,865 people killed in the bombing were burnt on this spot." For 40 years, through the Cold War, Dresden was part of communist East Germany. It was in what was called the "Valley of the Clueless" — one of the only places in East Germany that didn't get Western television. Under the communists, Dresden restored some of its damaged buildings, left others in ruins, and replaced many with modern, utilitarian sprawl. Prager Street, a bombed-out ruins until the 1960s, was rebuilt as a showcase for communist ideals. Its vast, uniform apartment blocks goose-step up the boulevard to this day. The design is typical of Soviet-bloc architecture — from Moscow to Bucharest. Today, after a thorough update, they've become desirable places to live. After German reunification, the rebuilding of Dresden accelerated. The transformation has been impressive, and the city's once-devastated historic center has been reconstructed. The Frauenkirche, or "Church of Our Lady," is the symbol and soul of the city. When completed in 1743, this was Germany's tallest Protestant church. Then, in February of 1945, after the city was bombed, in the last months of the war, the Frauenkirche collapsed. For a generation it lay there, a pile of rubble. Then, Dresdeners decided to rebuild it completely and painstakingly. With the help of international donations, Dresden's most beloved church was rebuilt and finally reopened to the public in 2005. Stepping inside, you're struck by the shape — not so wide but very tall. The color scheme is pastel, to emphasize the joy of faith and enhance the uplifting atmosphere of the services held here. The curves help create a feeling of community. [It's] a Lutheran church, but built at the peak of the Baroque period — it seems the artistic style of the age trumped the Lutheran taste for simplicity. The church's twisted old cross, which fell 300 feet from the tip of the dome and burned in the rubble, caps an inspirational story. Climbing to the top of the beautifully reconstructed dome, you're rewarded with a commanding view over Dresden and its river. The rebirth of the city is evident everywhere. This central square was once ringed by the homes of rich merchants. It's once again the heart of the city — alive with people and cafés. Dresden's delightful terrace was originally a defensive rampart. Today, it's a welcoming promenade overlooking the Elbe. Its nickname: "The Balcony of Europe." And a fleet of 19th-century paddleboats tempts visitors for a lazy river cruise. Getting around the city by tram is easy, and a quick ride over the river takes us into a lively district called Neustadt, or the "New Town." Its inviting and tree-lined main drag, Hauptstrasse, opened in 1979. It was a showpiece of communist urban design — a landscaped utopian workers' district filled with affordable apartments and the best shops. Because WWII bombs missed most of this district, the New Town has a retro charm. This well-worn area has emerged as the city's trendy people zone. Passages between apartment flats are enlivened by art galleries, cozy pubs, and crazy decorations. While the New Town boasts no great sights, it's fun to explore — especially after dark. The Parade of Nobles is a mural painted on 24,000 tiles of local porcelain. It was built to soothe the pride of Saxony after it was incorporated into the newly formed country of Germany in the 1870s. It celebrates Dresden's Saxon heritage and its Wettin family dynasty. The artist carefully studied armor and clothing, accurately tracing the evolution of weaponry and fashions through the centuries. Way up at the very front of the parade, an announcer with a band and 12th-century cheerleaders excitedly heralds the arrival of this wondrous procession. There are commoners — from miners and farmers to carpenters and students. And, ahead of them, the royals, with 35 names and dates marking 700 years of Wettin family rule. At the year 1694 stands Augustus the Strong, the most important of the Saxon kings. The Saxon ruler was one most powerful people in Germany — he was one of a handful of nobles who elected the Holy Roman Emperor. In the 18th century, the larger-than-life Augustus the Strong kicked off Saxony's Golden Age. His royal festival complex, called the Zwinger, is an example of how the king's extravagance made Dresden a European capital of culture. Here, at the Nymphs' Bath, aristocrats relaxed with royals among cascading waterfalls. Today the Zwinger is filled with fine museums. The Mathematics and Physics Salon features scientific gadgets from the 16th to 19th century. Finely crafted, and incorporating new discoveries with exuberance, the instruments are displayed like dazzling works of art. Imagine whipping out your pocket sundial in the year 1700, or a newfangled pocket watch in 1760 — with a risqué painting. This calculator from 1650 — claiming to be the oldest surviving mechanical calculator — could carry the tens. European royal families aspired to have their own porcelain works. And the Wettin family had one of the best, at nearby Meissen. In those days, a king portrayed in porcelain was a happy king. Augustus the Strong was obsessed with the stuff — he liked to say he had "porcelain sickness." Here you can enjoy some of his symptoms, under chandeliers in elegant galleries. You'll see fine table settings. He had a veritable porcelain zoo of exotic animals and beautiful birds. According to legend, for 151 of these Chinese vases, Augustus traded 600 soldiers — complete with horses — to Prussia. And here at the Zwinger, it just makes sense that the glockenspiel comes with 40 bells made of Meissen porcelain. The delightful chimes are far sweeter than your typical bell. In the nearby Royal Palace — the official residence of Saxon rulers since 1485 — is Dresden's Historic Green Vault. This glittering Baroque treasure collection is the sightseeing highlight of the city. The collection was begun by Augustus the Strong — featured here surrounded by ancient Roman emperors on the base of an obelisk. It grew into the royal family's exquisite trove of ivory, silver, and gold treasures, displayed in rooms as opulent as the collection itself. Its purpose? A synthesis of the arts as an expression of wealth and absolute power. The Amber Cabinet shows off what you can do with fossilized tree sap — for example, this exquisite bowl from 1659. The Ivory Room does the same for elephant tusks, with some strikingly delicate carving. In this amazing ivory frigate, tiny sailors climb the gold wire-rigging — all supported by Neptune and his horses. In the aptly named Hall of Precious Objects, amid mother-of-pearl, ostrich-egg, and snail-shell goblets, is the ultimate coffee service. This golden coffee service from 1700 is pure gold, iced with enamel, crusted with thousands of precious stones, and crowned by a coffee pot filled with symbolism. Coffee was exotic and trendy back then, and this extravagant centerpiece, while never actually used to serve coffee, certainly made an impression. This captivating ensemble depicts a Grand Mogul on his birthday. He ruled India when Augustus ruled Saxony. And, among earth's rulers, he was the embodiment of absolute power and endless wealth. Like royal Legos on a silver stage, the figures, made of gold and glazed with enamel, were movable for the king's pleasure. And the finale, in a place all its own, is this dazzling green diamond — one of the largest ever discovered. The adjacent Royal Armory fills a long room with centuries-old armor. The biggest space in the palace, this room was the scene of medieval war games. Today, its exhibits of jousting models recall those breathtaking pageants of the 16th century. Back then, jousting was something rich guys did when there was no war to fight. The collection offers an unusual chance to see armor not standing at attention, but displayed in action. This ensemble — designed for formal parades, not actual battle — is considered the prize of the collection. And the little princes needed their armor as well. Connecting German towns is easy these days on the country's fine train system. And after a relaxing hour or two on the train, we arrive in Leipzig. Leipzig once had the cobblestone charm of many other German cities. But, long a leading trade center, in the late 19th century, city leaders decided to modernize. They replaced the quaint medieval townscape with a grid of grand and efficient buildings dedicated to trade and commerce. WWII bombs destroyed much of Leipzig and the Communists followed that with four decades of neglect. That left the town center a dreary urban wasteland. But in the generation since 1989, the people of Leipzig have dramatically remade their city. Augustusplatz is a busy people zone and a hub for the city's trams. Overlooking that is the university center, rebuilt in a playful and modern echo of the pre-war buildings that once stood here. Towering high above is a skyscraper, built in the 1970s. An erection like this was a big deal in communist times. Locals and tourists alike gather on its rooftop terrace to enjoy a drink and the best view in town. As they rebuilt the city center, one feature that survived was the tradition of inviting shopping galleries that burrow through office blocks. Some of the galleries retain an Old World elegance with venerable shops and restaurants. Others are playfully decorated by contemporary local artists. Leipzig's Renaissance-style Town Hall, with its fine arcade, overlooks the Market Square. Tonight the fruit and vegetable merchants have made way for a big open-air concert — with music and lots of sausages, kraut, and beer. As a traveler, don't be shy. Share a table and strike up a conversation. An event like this is a perfect chance to meet locals. Leipzig is famous for its music heritage. It was the hometown of the great composer Johann Sebastian Bach — shown here with his favorite instrument: the pipe organ. In the early 1700s, Bach was the organist and choirmaster right here, at St. Thomas Church. Inside, the clean, stripped-down interior reflects the Protestant aesthetic of an uncluttered church. Stained glass celebrates how, in 1539, Martin Luther came here to perform Leipzig's first Protestant service, and how, for nearly 30 years, Bach directed the boys' choir. Bach's tomb, adorned with flowers, is like a pilgrimage [site] for music lovers. Leipzig remembers its tough 20th century with a little whimsy. This statue represents how East Germany endured two harsh dictatorships in succession: the flat-palmed Sieg Heil! of the Nazis, and the proletariat's raised fist from the communist era. This poor fellow, repressed by both regimes, with his head scrunched down, seems to represent individuality under siege. Somehow, he'll get through it all. To learn more, step into Leipzig's Contemporary History Forum — which tells the 44-year story of communism in East Germany. After the devastation of World War II, the line between east and west was drawn, and Leipzig ended up in Stalin's camp. In those desperate post-war years, the stability and security provided by East Germany's communist government was appreciated. Out of the squalor came a forced uniformity and, if you played by the rules, life was not miserable. Housing was a major priority, as so many were homeless after the war. Locals recall how there wasn't a lot, but people had what they needed. Generally what they had was what their neighbors had — children all had the same blocks, books, and cuddly stuffed pets. Western pop music, while reined in and certainly controlled, was allowed — from the Beatles to Jethro Tull. But of course people eventually insist on freedom. 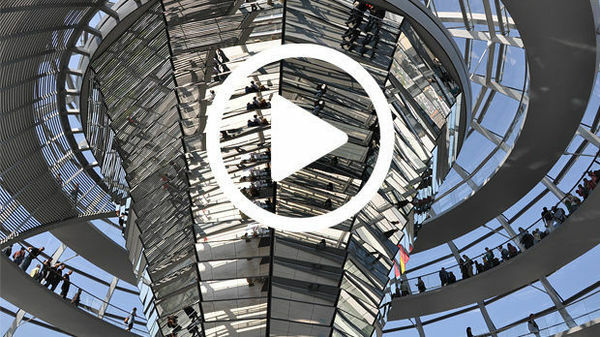 To learn more, I'm joined by Leipzig tour guide Gisa Schönfeld. The hated secret police force in communist East Germany was the Stasi. Its old headquarters now houses a museum dedicated to telling the Stasi's dirty deeds. It offers a fascinating look at what it took to control the people. Gisa: This is the symbol for the Ministry for State Security — Staatssicherheit — "Stasi." Rick: Stasi — "state security." Modeled after the Soviet Union's secret police, the notorious KGB, the Stasi recruited over half a million informants from every walk of life. It collected mountains of data on its citizens. The former offices contain tools of the trade: a small camera that could be concealed in a briefcase, easy-to-hide microphones — including one hidden in button, disguises, and forged documents. Gisa: The Stasi officers sat people on chairs with a piece of cloth and the piece of cloth would absorb the smell when the suspects sweated during the interrogation. And then they placed the cloth into these jars, preserving the smell. And whenever something suspicious turned up — for example, a leaflet — they brought in the dogs. The dogs smelled the item, and then smelled the jars. Rick: So the dogs would match the smell? Rick: That would be enough to send them to jail? Gisa: That would be enough. All mail and packages coming into the country were searched. These machines enabled agents to steam letters open, read them, and then reseal them. The Stasi stole millions in West German hard currency (sent to struggling East Germans by West German relatives). And they confiscated piles of cassette tapes that contained forbidden Western pop music. These cassettes were then re-used to record interrogation sessions. Rick: After freedom, people were free to look at their personal files? Gisa: Yes, but it was an agonizing decision to make. The Stasi had hundreds and thousands of informants, so they were colleagues, friends, family members spying on people, and then it was very difficult to choose: Do I want to know what information the Stasi kept on me, or would I also — I would also find out who spied on me. Rick: So you could look at your file, but you might find your uncle was informing on you, and maybe you just…better not go there. Leipzig's beloved St. Nicholas Church played a pivotal role in the people's successful fight for freedom. In the 1980s this venerable church hosted weekly prayer meetings for peace. These turned political, making St. Nicholas a staging ground for the Peaceful Revolution that would ultimately topple the communist regime. A column in the church square celebrates the church's contribution to German freedom. Rick: So eventually these Monday prayer services for peace spilled out of the church and into the city at large? Rick: So what eventually happened? Gisa: Eventually the wall came down in Berlin, the borders were opened, and the people had gained their freedom. Just outside of Leipzig is a gigantic monument to an earlier struggle. It commemorates a pivotal battle in 1813 that involved forces from all over Europe. Called the "Battle of the Nations," it pitted France's army under Napoleon against a coalition of Prussian, Austrian, Russian, and Swedish fighters. With half a million soldiers and 100,000 casualties, it was the largest battle in European history until World War I. The Battle of the Nations marked the turning point in the fight against Napoleon. He was routed here, and forced to retreat to France. Basically it was Germans who turned back the French invaders. And exactly a century later, in 1913 — during a surge of nationalism following the unification of Germany — Leipzig inaugurated this towering memorial on the site of this bloody battle. The archangel Michael straddles the main door with the same message that accompanies most military monuments: "God is on our side." Entering the monument you stand under a towering atrium. It's ringed by more soldiers, in front of giant death masks, heads respectfully bowed to honor the sacrifice of those lost in battle. Above them, four enormous statues represent the virtues of the German people during wartime. And high above, in the dome, hundreds of life-sized soldiers on horses return from battle. It feels religious, but it's strikingly secular — a powerful monument to more than a battle: to the power of nationalism and to the fact that war leaves even the winners saddled with grief. Traveling through Saxony with its rich heritage, exquisite culture, and hard lessons, it's an inspiration to see the accomplishments of the people of Dresden and Leipzig. Thanks for traveling with us. I'm Rick Steves. Until next time, keep on travelin'. Auf Wiedersehen.